Airbus Defence and Space expands its WorldDEM portfolio with the launch of the “WorldDEM Ocean Shoreline” product. Developed in cooperation with the Center for Southeastern Tropical Advanced Remote Sensing (CSTARS) at the University of Miami in the United States, this new thematic layer provides highly detailed and accurate shoreline mapping that covers the Earth from pole-to-pole and 360° degrees around. 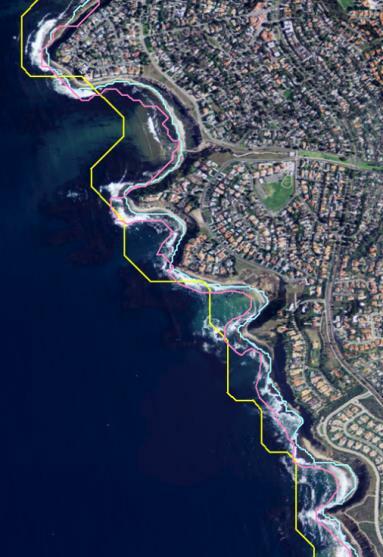 Shoreline mapping is key for tsunami modeling, sea-level rise studies as well as coastal and littoral spatial planning, hazard mitigation and community preparedness. “WorldDEM Ocean Shoreline” will be first presented in Airbus’ booth 833 at the GEOINT 2017 Symposium, June 4-7, San Antonio, Texas, USA. Coastlines are constantly evolving, eroded by strong tidal currents and ocean waves, while influenced by the geology and topography of the surrounding landscape. As a result, their precise delineation requires accessing up-to-date, accurate and detailed Digital Surface Models. The delineation of the water bodies’ extents (including oceans) at a consistent scale, worldwide, is a derivative of producing the global WorldDEM dataset – the first elevation model to provide a truly pole-to-pole coverage with a unique level of detail and quality. Airbus Defence and Space is harnessing this information to produce the “WorldDEM Ocean Shoreline” product which is intended to replace existing global or sub-global shoreline and lower resolution datasets.